Whether you’re flying for business or travel purposes, the Falcon 20 / 200 has refined interiors and complete facilities to fit your needs. Some of this jet’s cabins have also been customized to meet the specifications of their owners and operators. If you’re considering a regional or nearby international flight, this aircraft can take you as far as Iceland or Northwest Territories coming from Toronto, Canada. It even has a competitive speed so you can be sure to reach your intended location at the soonest time possible. The Dassault Falcon 20 / 200 also has a stylish look to it, as its passenger seats are mostly made of leather among other cozy materials. It has been laid out with standard passenger seats along with a divan. The plane additionally includes a refreshment area to prepare your food and drinks, so you may have an even more delightful ride. Know more about the specifications of this aircraft, and be sure to book for your very own charter today. 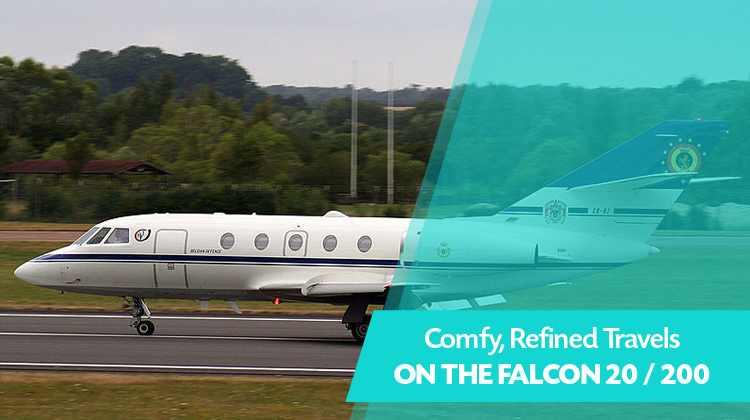 As you hop on board the Falcon 20 / 200, you’ll find how its passenger seats may be reclined. At each side of the seat, a fold out table can be pulled and used for relishing meals, snacks or drinks. The same table may also be used as a platform where you may place your laptop. With the plane’s WiFi feature, you can catch up on your emails, update your cloud based documents and prepare for conference presentations. You can even send instant messages to your loved ones or give them a call while on board. If you’re coming from Toronto, Canada, you can fly up to Northwest Territories, Iceland or Alaska, USA when on board the Falcon 20 / 200. This aircraft also has speedy paces so you can reach your intended location at the soonest schedule possible. Should you choose to max out the flying range of this vehicle, you can confirm its allowable passenger count and luggage weight with the operator. These details will be considered in reference to the best possible combinations of routes and schedules on your flight plan. With a lighter aircraft, you’ll be sure to reach farther locations at the soonest possible time. Manufactured by France-based company Dassault Aviation, the Falcon 20 / 200 took on its first flight in 1963. Today, it has roughly over 500 units being flown all over the world. It also has 20 variants which have been modified to fit different applications. These include maritime and surveillance functions, aside from corporate travels. Some of its operators come from France, the United States, Egypt, Spain, Japan and Venezuela. 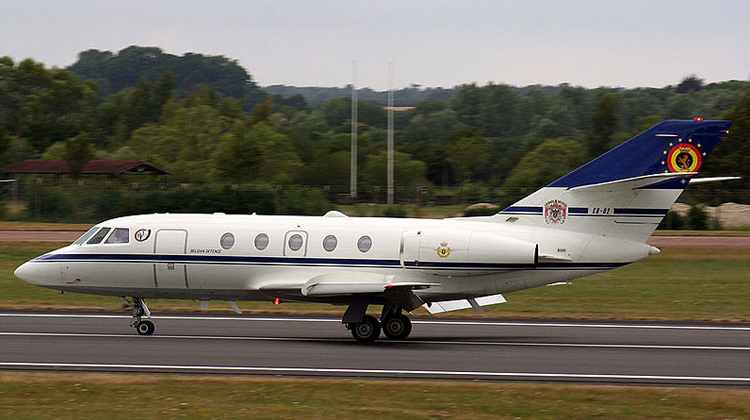 This model is also in direct competition with Raytheon Hawker 800.